This article is part of a series covering the most important tournaments in the 2011 WSOP. one of which is Heads-Up NL Hold’em poker tournament. The No Limit Hold’em poker event has been very popular and is the main event of any poker tournament like the Word Series of Poker. The 2011 WSOP Heads-Up NL Hold’em Championship is set on May 31, 2011 in Las Vegas, Nevada. But what is a Heads-Up NL Hold’em poker tournament? This poker tournament game is a 2-player poker game in which it is played over several rounds. Right at the start of 21st century, this game has been very popular because tournaments are being televised and online tournaments and champions are making huge hits on the internet. 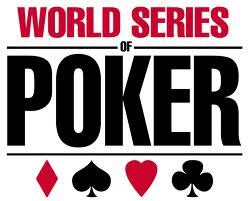 Besides, the number of participants has increased both in WSOP and WPT. The main event is highly anticipated which is dubbed as the ultimate clash of talents and skills among the best poker players across the continent. It’s not surprising that poker enthusiasts are streaming their way to Las Vegas to witness this prestigious poker event. Before going any further about the event, let us first take a brief overview of Las Vegas as well as the Rio All Suite Hotel and Casino. Las Vegas rests on the Clark County in Nevada, United States of America; and one of the heavily populated cities all over Nevada. The city is famed as the world’s entertainment capital due to its world-class casino resorts as well as associated entertainment, fine dining, shopping and of course, gambling. It was estimated that by 2010, the population in Las Vegas nearly reached the 2 million mark. On the other hand, Rio All Suite Hotel and Casino is renowned as the finest casino-hotel in Nevada together with luxurious suites and sumptuous food. All of WSOP’s poker events including Heads-Up NL Hold’em Championship will be held here. Ayaz Mahmood, a native from Bangladesh took home the $625,682 cash prize in 2010 Heads-Up NL Hold’em Championship in $10,000 buy-in. However, the upcoming 2011 WSOP Heads-Up NL Hold’em Championship has a buy-in of $25,000 with a maximum of 256 players fighting to get the highly-coveted prize package. This event#2 4-day poker event will commence on May 31st at 5:00pm at the prominent Amazon Room of Rio Hotel. So what are you waiting for? Prepare to witness as 2011 WSOP Heads-Up NL Hold’em Championship will make history one more time.